MMA Special Passenger Train # 2. 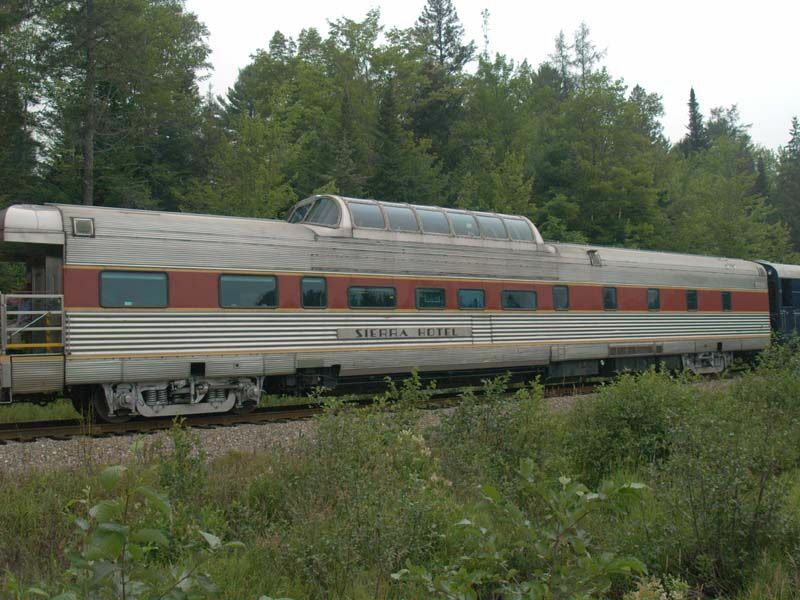 This was The Sierra Hotel which is a dome-observation platform car in Brownville, Maine. Photographed by Dave Sharpe, July 28, 2006. Added to the photo archive by Dave Sharpe, July 28, 2006. Railroad: Montreal, Maine, & Atlantic.